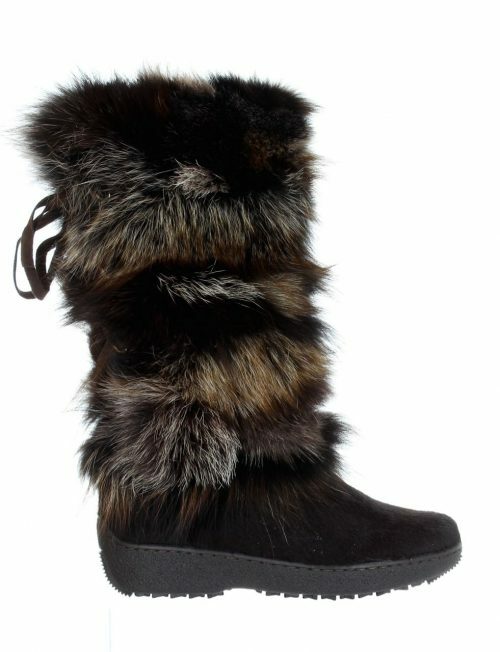 Pajar Winter Boots “Kim” – Keeping up with the latest in winter trends this fall/winter season with the Après Ski rich brown tall boot from Oslo Collection. Manufactured in Italy using the highest quality cow and fox hair, this knee high boot with suede tie embellishments will surely make you look and feel fabulous through cold and crisp conditions. 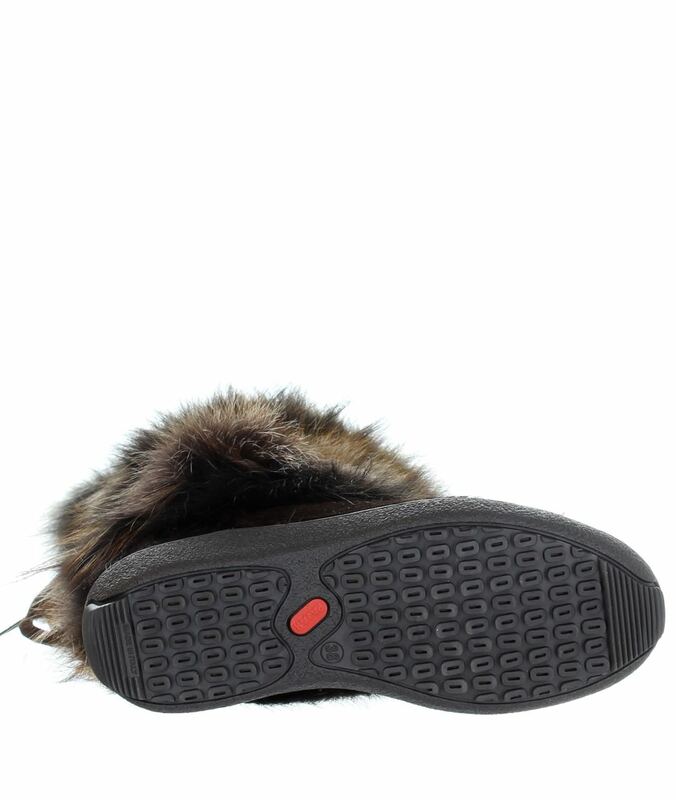 Your feet will thank you for the ultra warm and cozy wool lined upper, comfort rated at -20°C (-4°F) while our premium insole features a felt blend and aluminum insolation that is both breathable and anti-microbial. Wherever you choose to roam, the signature gripping Pajar Canada lightweight thermal rubber sole will get you through icy city streets or rocky terrain in comfort and style. Genuine Leather (Cow) – Fox. Made in Italy.Shoes Snow Boots.